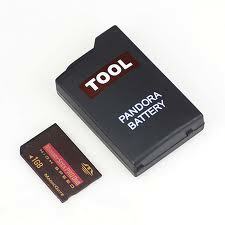 Today the long awaited Pandora Battery for PSP 2001 MotherBoard V3 is finally made available. You will need knowledge in electrical engineering. 1) Buy MemoryStick open NAND (Chinese) (NOT MONOLITH!). 2) Buy NAND Flash TSOP-48 programmer. 4) Connect NAND to programmer. 6) Overwrite MemoryStick ID (msid) area (offset 1E0 - 1EF): 204D5350534E593000788884C6AA0000. 7) Disconnect the NAND from programmer. 8) Sold NAND to base card. 11) In the folder IPL to MS launch "install_psp_ms_multi_loader_ipl.cmd". 12) Connect PSP to PC. 13) Print "Y" (Inject IPL). 14) Copying allfiles from folder Extracted Files Original in PSP (MS). P.S. I`m attached corrected MemoryStick ID area. P.P.S. If you decrypt files from PRX folder, you very helped my. If in my all will, we get no hardware method.